Nottingham needs to be bold and embrace the changing needs of modern workers. Home » Blog » Blog » Nottingham needs to be bold and embrace the changing needs of modern workers. 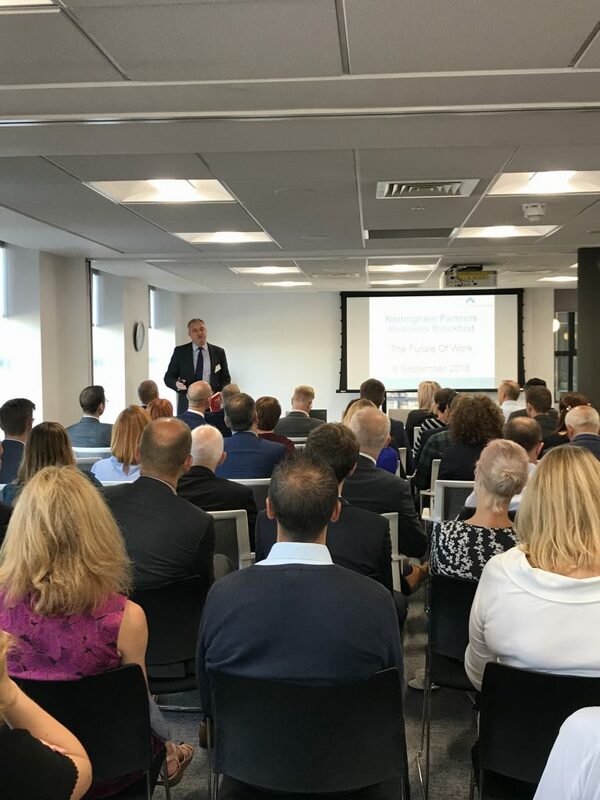 A rapidly growing appetite for innovative and collaborative workspaces, the threat to jobs from AI and robotics and the demise of the traditional 9-5 workday were some of the hot topics debated by business leaders in Nottingham. More than 60 guests from leading organisations joined the event to discuss the future of work and the growing challenges faced by businesses. Held at the Nottingham offices of global law firm Eversheds Sutherland, speakers from global consulting giant PwC, market leading office refurbishment specialist Paragon Plc, the rapidly expanding Distinct Recruitment and the hosts Eversheds Sutherland debated a number of significant trends in modern working habits. The headline speaker at the event was Peter Brown, Partner and Global Clients and Markets leader at PwC. The organisation recently hit the headlines for embracing the gig economy and launching a scheme that allows new recruits to work ‘where they want and when they want’ . The desperate need for new and innovative office spaces in Nottingham was highlighted during the open panel discussion. Increasing awareness from occupiers regarding the need for attractive work environments around the UK is leading to real innovation on regional cities. Many developers are building collaborative working areas into once traditional office floorplate designs. 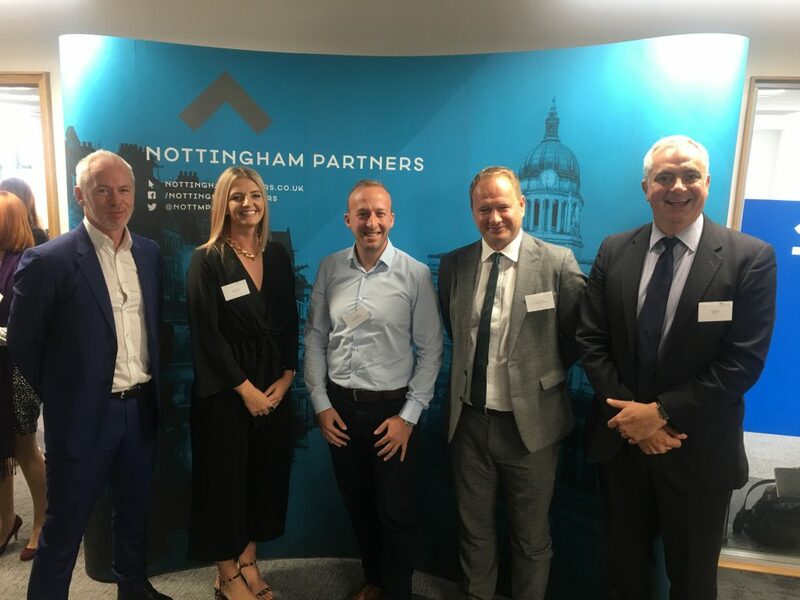 The property development community in Nottingham need to react to changing client needs and new business models to attract tomorrows businesses, particularly those in the booming tech sector. Nottingham Partners provides the platform for this type of thought leadership. For more information about Nottingham Partners and upcoming events visit, www.nottinghampartners.co.uk.